CAPE CANAVERAL — A U.S. military satellite that will fortify the “anytime, anywhere” communications infrastructure used by soldiers, ships, aircraft and drones was launched into orbit Thursday to improve the global connectivity that encompasses the planet. The $566 million Wideband Global SATCOM spacecraft No. 7 was hauled aloft by a United Launch Alliance Delta 4 rocket from Cape Canaveral’s Complex 37 at 8:07 p.m. EDT (0007 GMT). “This launch continues our ability to provide world-class, globally-assured communications,” said Robert Tarleton, head of the Air Force’s Military Satellite Communications Directorate. 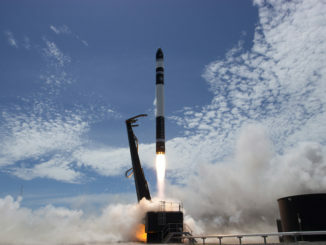 An RS-68A main engine, flying for the first time on a single-core Delta 4-Medium+ vehicle, and a quad-arrangement of strap-on solid boosters powered the 217-foot-tall rocket off the pad just before sunset. 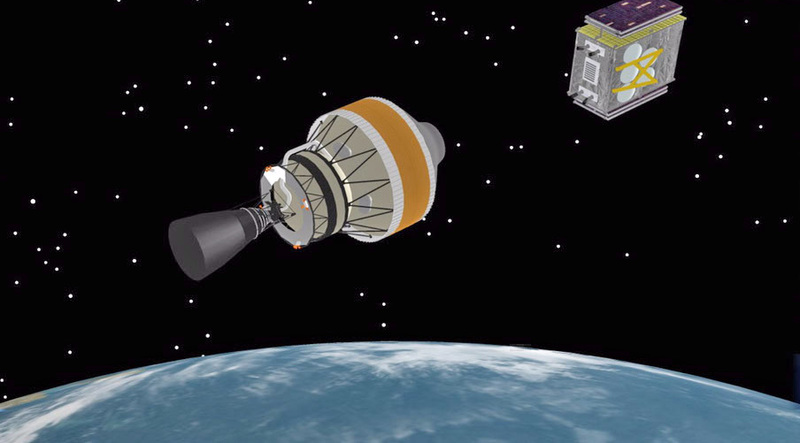 A pair of burns by the upper stage then delivered the payload into a highly elliptical, super-synchronous transfer orbit stretching nearly 240 nautical miles by more than 36,000 nautical miles. The satellite was deployed 42 minutes into flight, completing the 30th Delta 4 flight and ULA’s 98th successful launch. Worldwide coverage is provided by the first half-dozen WGS satellites launched between 2007 and 2013. Now, four more are going into orbit through 2019 to shore up and beef up services to communications-hungry military forces around the globe. “We have global coverage and WGS 7 will just get us that additional capability. WGS is getting highly utilized and more capability up there, the better,” said Tarleton. WGS is the Department of Defense’s highest capacity communications satellite system. The satellites provide the needed capacity, coverage and connectivity in support of demanding operational scenarios for the Pentagon and allied forces around the world. WGS 1 was launched in October 2007 to cover the vast U.S. Pacific Command that stretches from the U.S. western coast all the way to Southeast Asia. WGS 2 satellite followed with an April 2009 launch to serve U.S. Central Command and the forces in Afghanistan, Iraq and other parts of Southwest Asia. WGS 3 went up in December 2009 to cover U.S. European Command and U.S. Africa Command, plus lend additional support over the Middle East. WGS 4 inaugurated the upgraded Block 2 series for improved communications with unmanned aerial drones when it was launched in January 2012 to cover the Middle East and Southeast Asia for use by U.S. Central Command and U.S. Pacific Command. WGS 5 extended the Wideband Global SATCOM constellation to the Americas for a host of users following launch in May 2013. It gives the CONUS coverage to U.S. Northern Command, Southern Command, Transportation Command, Strategic Command the Missile Defense Agency, a whole lot of U.S. and western hemisphere-based users. WGS 6 was launched in August 2013 and serves as Australia’s contribution to the Wideband Global SATCOM constellation. 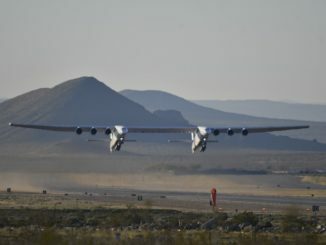 It was built and launched via Australian funding in exchange for its military getting a percentage of communications services through the global constellation. The craft is parked over the Americas, too. Ten WGS satellites are being orbited in the Pentagon’s efforts to replace the aging Defense Satellite Communication System with new technology. Each WGS has 10 times the capacity of a DSCS satellite, allowing users to process and receive data quicker than ever before. 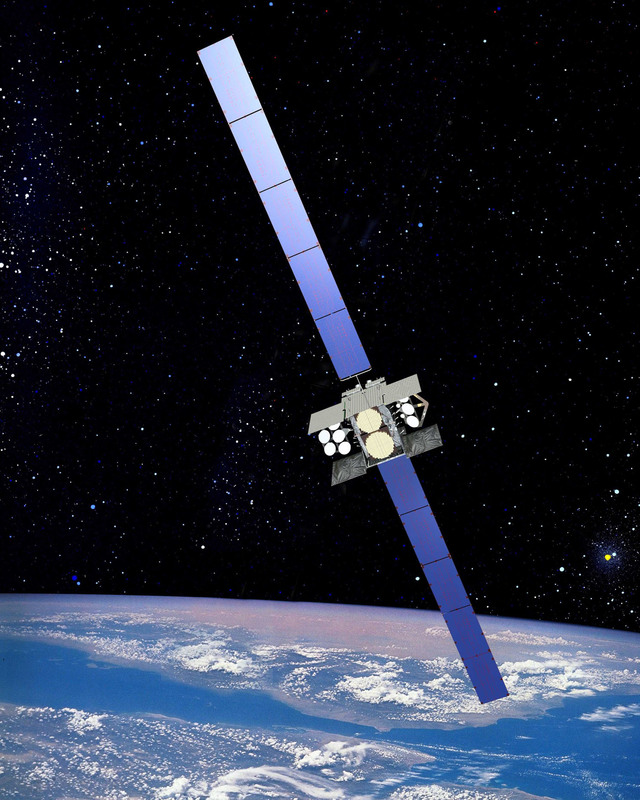 “What was once a gapfiller effort has evolved into a model program of record and is the backbone of U.S. and allied broadband military satellite communications,” said Rico Attanasio, Boeing director of Military Satellite Communications. The extra bandwidth was made available by releasing some of the satellite’s reserve, without any change to the satellite’s core design. “The (WGS) 1 through 6 on-orbit, we had some redundancy that we weren’t using. Can we activate some paths in our channelizer without impacting the overall system reliability and mission life? And we’ve determined we can do that,” Tarleton said. The WGS 7 spacecraft’s communications package provides shaped, steerable spotbeams of bandwidth wherever requested across its field-of-view for X- and Ka-band frequencies, plus the onboard capability to switch signals from one band to the other. The X-band communications through DSCS and WGS allow data, photos and video to be relayed to troops on the battlefield. But WGS also brings Ka-band to the table for high-volume broadcasting to user terminals across the reception area. 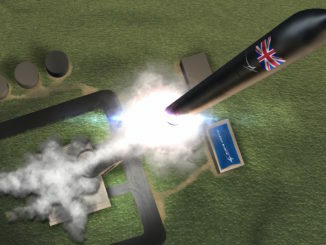 In addition to the Australian contribution, a five-nation deal signed in 2012 is funding the upcoming WGS 9 satellite and brings Canada, Denmark, Luxembourg, the Netherlands and New Zealand into the system. After arriving in its prescribed super-synchronous transfer orbit Thursday night, Boeing assumed control of WGS 7. The satellite, which is a Block 2 Follow-On spacecraft, will spend about three months using its conventional chemical engines and xenon thrusters to maneuver from the launch’s elliptical dropoff orbit into its test slot in geosynchronous orbit 22,300 miles up. Boeing then conducts a month of system testing before handing over the satellite to the Air Force for its own set of checks before positioning WGS 7 in its final location and setting it operational in December or January. The exact orbital slot remains to be determined. 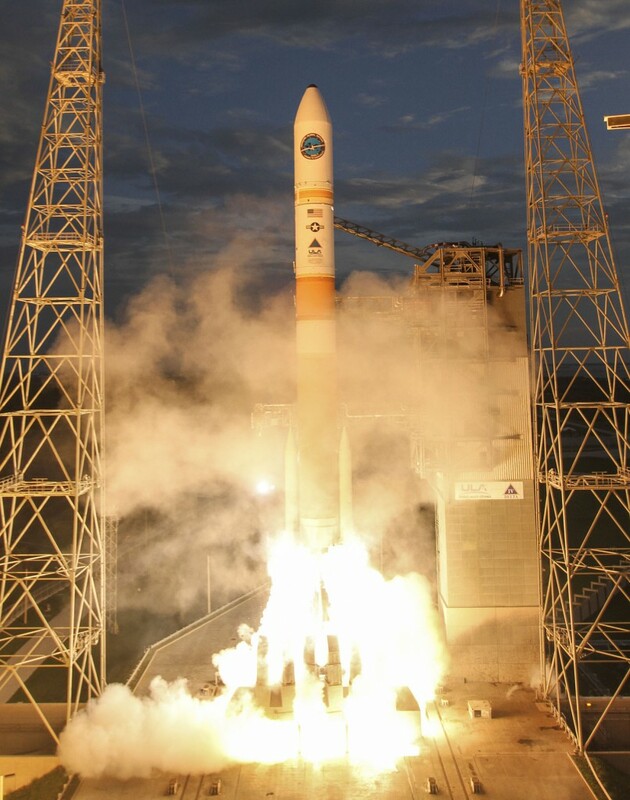 The launch of WGS 8 is slated to occur next year aboard another Delta 4 rocket from the Cape, followed by WGS 9 in 2017 and WGS 10 in 2019. The Florida launch site’s next Delta 4 launch is targeted for April when a Heavy vehicle will carry the NROL-37 classified payload for the National Reconnaissance Office. But first there is a Delta 4 launch slated for February from Vandenberg Air Force Base in California on the NROL-45 flight. See our earlier WGS 7 coverage.